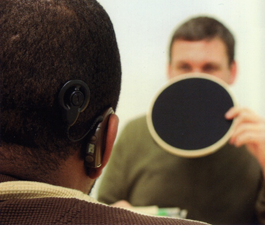 Speech tracking is a clinician-directed technique used to improve auditory perceptual skills. 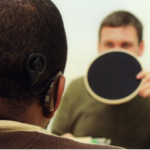 This software is a sentence-level speech-perception training program designed to help the client develop awareness of sensory information, contextual evidence, and improve auditory listening skills. 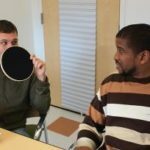 KTH Speech Tracking is an easy to use approach in which a story is read by the clinician a line at a time, requiring the client to repeat it back verbatim. Specific directions guide the clinician’s presentation, repetitions, and ensure that feedback is provided throughout the training process, which is key to building both communication skills and confidence. The KTH computer-assisted approach enables the clinician to control the presentation of material and easily keep tracking of an individual’s performance in a systematic way. We offer a video tutorial, download access, instructions, and information about the development of the software. Please contact us with any questions about these resources or downloading or using the software.